Fashionably chic, erika may’s intimate vocals charms jazz standards and original compositions. Swinging guitars, tenor sax, and upright bass set the mood: sassy! 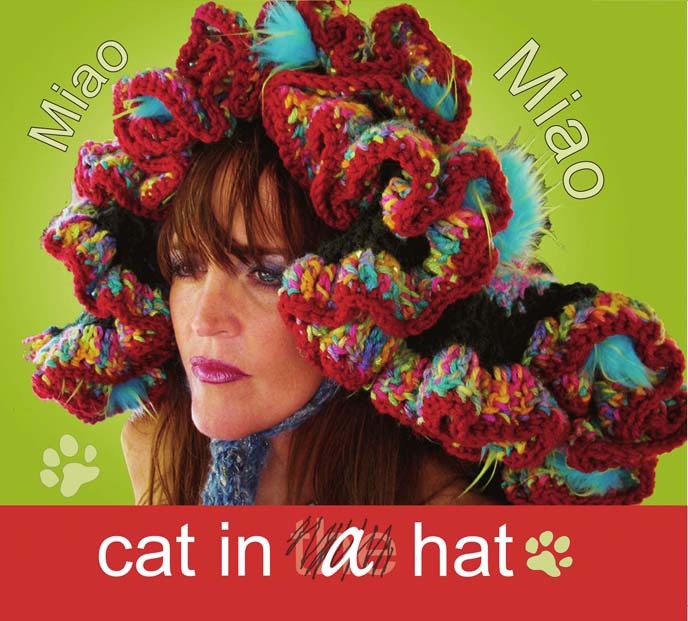 erika may sings jazz standards, her charming voice and swinging flute are joined by Dave Black, Farshid Sotanshahi, and Billy Engel on guitars, Paul DiMarinis on tenor Saxophone, and Willem von Hombracht on upright bass grace the cd, ‘Miao Miao, cat in a hat’. erika may’s supple, octave spanning voice is showcased in the eclectic and melodically expressive tunes ‘Twisted’ and ‘Harlem Nocturne’. Latin rhythms in ‘Sway’, ‘Agua de Beber’, and ‘Softly as in a Morning Sunrise’ will have you kicking up your heels. Flirty and sassy, describes ‘My Heart Belongs to Daddy’ and ‘Miao Miao’, the title track written by erika may, as well as the dreamy ‘Climate of your Mind’ and ‘Waking up Again’.